It started to get hot today, the air conditioning kicking on when it reached 82 degrees. There was a strong breeze though and the humidity wasn’t that bad. For dinner, there was a pack of Bell and Evans chicken thighs that I rinsed in cold water this morning and then marinated in some Korean Bulgogi barbecue sauce. I left it covered in the fridge and then took it out mid-afternoon, turning the pieces over in the marinade and then covering the top with a plate. I would have liked to grill the chicken on our little cast iron hibachi out on the back deck since it’s so warm, but some birds, (we think they’re robins,) built a nest in the alcove right under the hibachi. 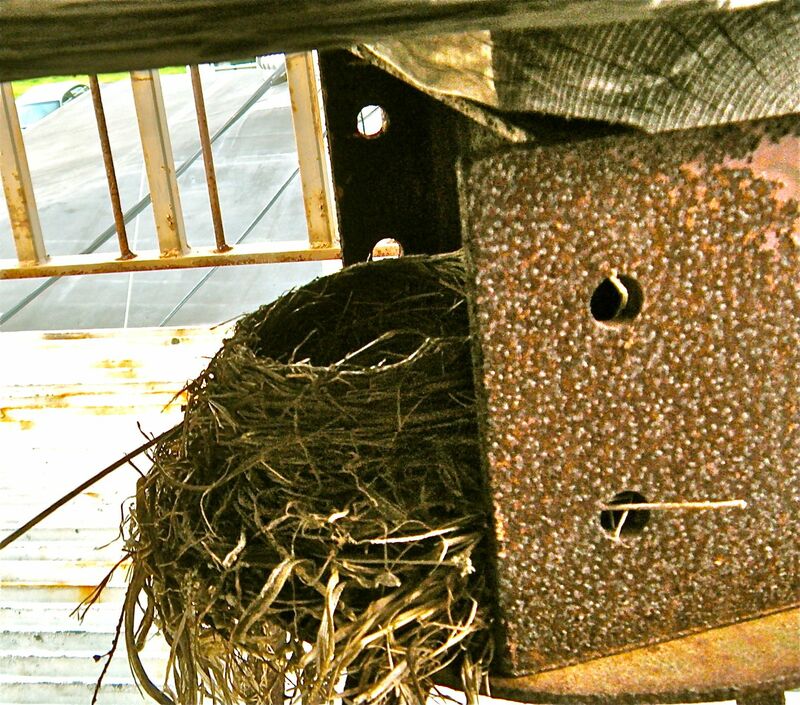 There don’t seem to be any eggs there to hatch, but the birds come in for a rest stop every once in awhile. (How would we like to be out in the pouring rain if we were birds?) Anyhow, that’s why the hibachi is out of commission, at least for right now. 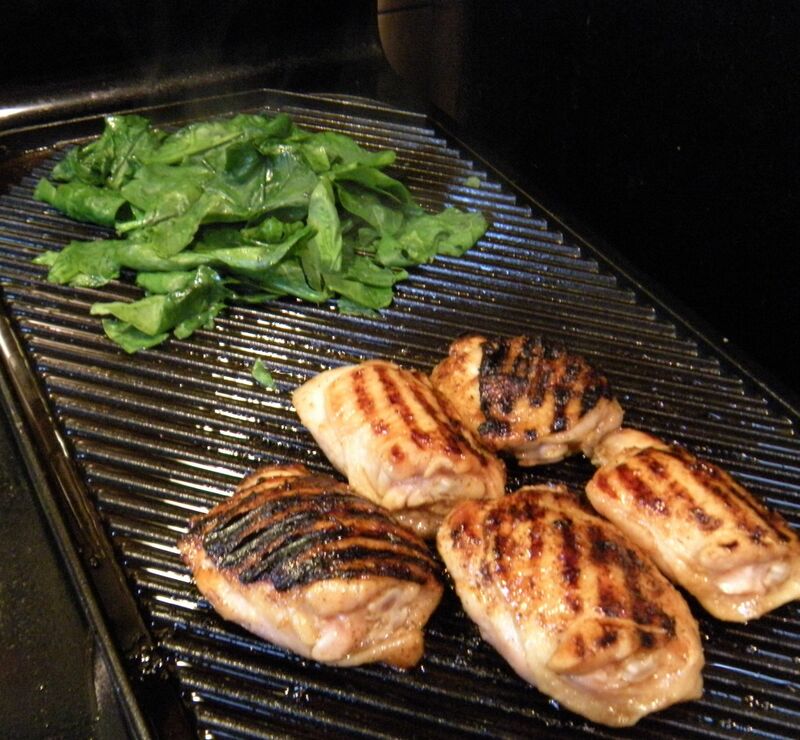 So I took my rectangular grill pan and set it on two burners. I really like this piece of equipment because you can cook food quickly on it and it makes those nice grill marks on the food afterwards. All we’re missing is the flavor of mesquite. For our other course (remember, just two a meal,) I’ll pan fry some fresh spinach until it’s just wilted, turn off the heat, dress with a little organic Ohsawa soy sauce and a squeeze of fresh lemon juice. Here it is: simple and healthy. 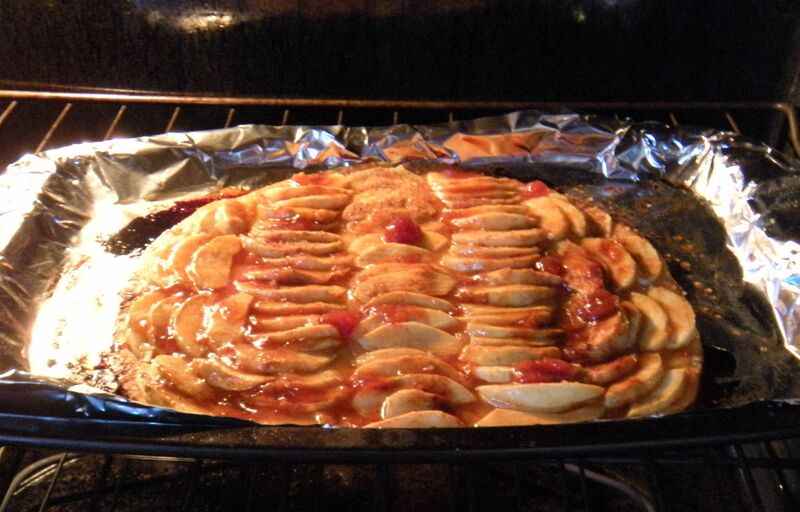 Oh, and apple tart for dessert while we watch the Bruins tonight. Beautiful new format… robin’s egg blue, perfect for your hibachi-nesters! Delicious food, too. Go Bruins! !